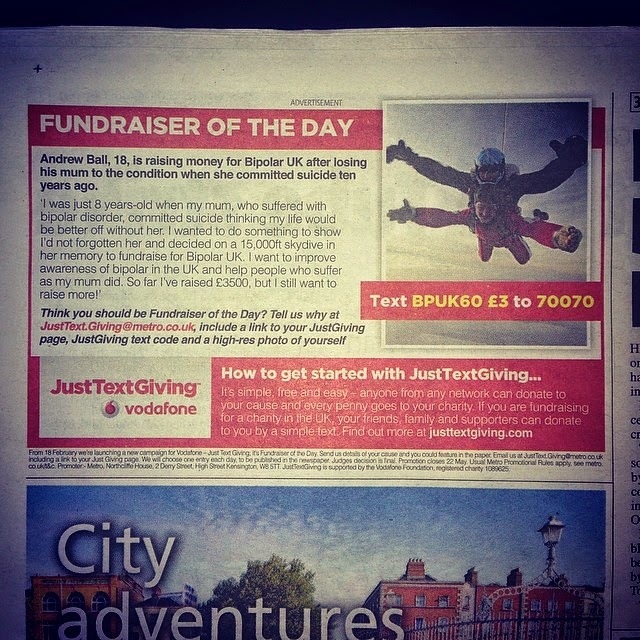 Just Giving: 'One Young Man's Inspirational Fundraising Mission'...See how you can get involved! A year into my A levels and life seems already pretty fast track of a pace however, for one young man (a good friend of mine too) known for his technical footwork on the court yet teamwork in hand alongside his love for Basketball. Andrew Ball, 18 has been named fundraiser of the day by the London Metro paper amongst, the local paper The Brighouse Echo and other local papers highlighting his tremendous mission of raising funds for Bipolar UK. After losing his mum to the condition when she committed suicide ten years ago. 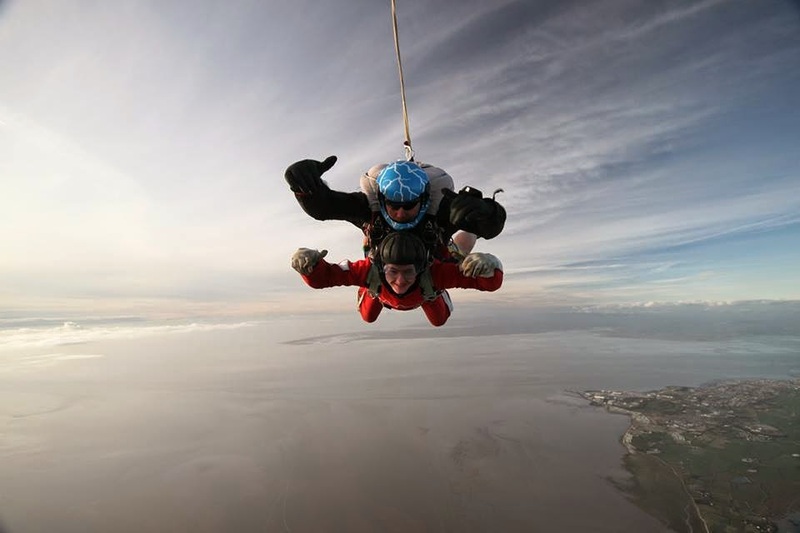 Throughout starting his campaign of raising funds through various activities from car washes, raffles, charity party, bun sales, and latest to date a 15,000 ft skydive. The donations of which Andrew has raised has been contributed by myself, friends, relatives, students and members of staff at Rastrick High School and Sixth Form amongst, the host of audience who have donated through the ‘Just Giving’ page especially created for the cause. (Click here to give your donation). Now after reaching his previous targets of £500-£4000 Andrew has set himself to exceed to the £5000 mark. Dear readers on behalf of Andrew who has allowed me to run this article, I would like to invite you to donate in Andrew’s cause of raising funds to aid people with Bipolar. Every donation which is given through the ‘Just Giving’ page will be going to Bipolar UK whilst, every donation is very much appreciated. As they say ‘Every Little Helps’. To find more about Bipolar and Bipolar UK please see more information here. To sponsor Andrew and read his story behind his fundraising for Bipolar UK, please click here. Thank you, behalf on Andrew every donation is very much appreciated.